Keck II Firing Laser, originally uploaded by Eric Jeschke. 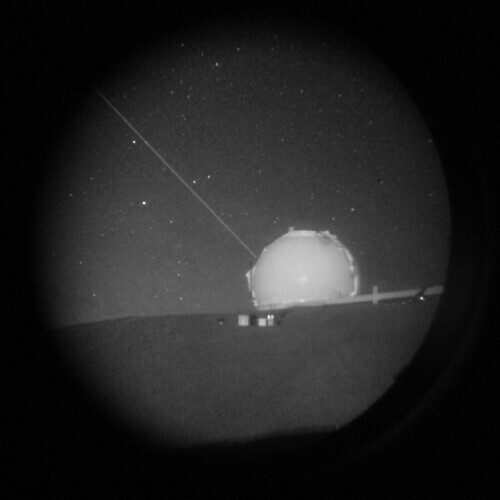 The telescope Keck II fires its laser to create an artificial star in the ionosphere. This is then used for autoguiding or adaptive optics. Taken on the summit of Mauna Kea through night vision goggles.